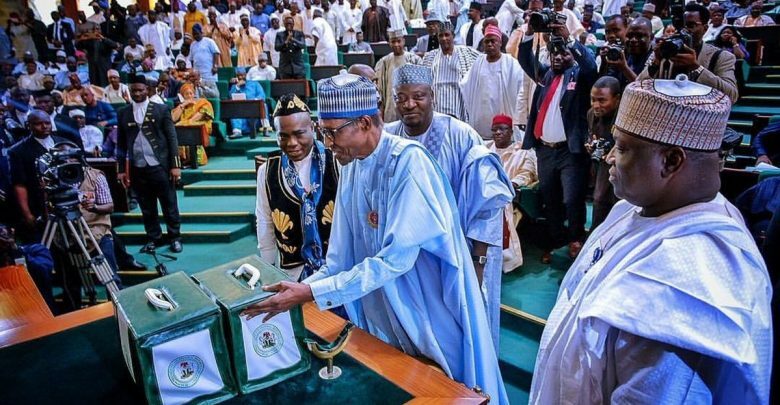 Full Transcript of President Muhammadu Buhari’s speech as he presented the 2019 Budget before the two chambers of the National Assembly on Wednesday, 19 December, 2018. 13. In the area of trade, Nigeria has moved from a deficit to surplus in our trade balance. As at the third quarter of 2018, the trade balance was a surplus of N681.27 billionrepresenting a significant improvement from the deficit of N290.1 billion in 2016. This reflects the rebound in crude oil exports, increased non-oil exports and a reduction in the importation of food and items that can be produced locally. Foreign capital inflows including direct and portfolio investments also responded to improved economic management. Capital importation to Nigeria in the third quarter of 2018 stood at $2.86 billion, which is a 56.7 percent increase compared to the corresponding period in 2016.